This project is about an adventurer, a motorcycle, one continent and one goal: support and help reforestation projects. This journey will take me to the higher roads of the Andes, after driving through the Amazonia forest. 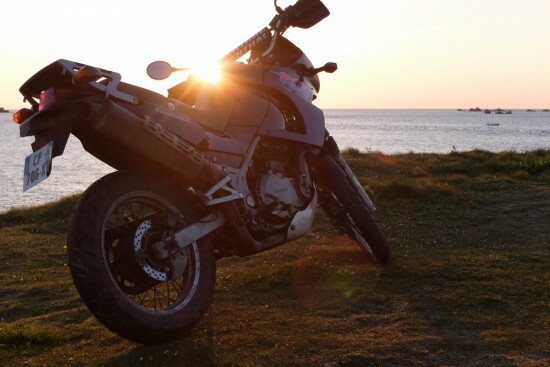 My first motorcycle trip in solitary taught me to travel alone, to repair my bike, to fall, to get back up, to receive, to give and to live each day fully and simply. After three months and 17 000 km on the roads of Europe and Central Asia, I managed to reach Ulaanbaatar in Mongolia, where I could make an act of solidarity before going back home. The choice to give my bike to my arrival made many people smile, and motivated me to continue in difficult times. Walking through the beautiful and virgin areas, I became aware of my impact on the environment and that is why I want to support reforestation projects to help improve the quality of life of workers, the environment, and the people of the countries I will cross. The challenge is huge and with help I may succeed to cross the Atlantic, up the legendary Road 40, which runs along the Andes, going to Peru through Bolivia and Venezuela to, perhaps, find my way to Patagonia. By choosing this path, I will follow several stages of the legendary Dakar. Promise one day I will do it in Africa ! The impact of my trips on our environment is to be considered. During this trip, I like to participate in meaningful projects of reforestation to compensate my carbon emissions and help the populations of the countries I will cross. By working for this type of project, I intend to take part in an environmentally responsible action that seeks both social welfare as respect for nature. The action will be conducted on two levels. First, I wish to set up a donation system to allow companies and individuals who wish to support my project. Every ten kilometers traveled, I would like to plant a tree, with much support I may achieve to plant one tree per kilometer. Secondly I want to be an actor of these reforestation projects helping and working with locals. Thus, I will witness the impact of these donations, it will be an opportunity for me to regain strength, to truly discover the locals and share with you this experience. The journey I did this year has taught me that the meetings are the essence of an adventure, random, and achieved just by stopping a few minutes to take the time to live and share beautiful moments with strangers. I’m not an expert on maritime transport, I know very little about it. If you do, any help is welcome! The departure is scheduled between early 2016 and mid-2016. I need to find the best time to leave, depending on my route and my ressources. I plan to go to South America first, then to Africa, a finally back to Europe. Obviously, for this next adventure I will be riding a trail bike built to take me offroad. My passion was born on the dirst tracks of Pamir and nothing prevented me from stopping thereafter. I choose a KLE 500 for this adventure, she has every skill I require and I already like it ! My last trip gave me experience and insurance, but this trip would not have been that easy without the help of my partners. 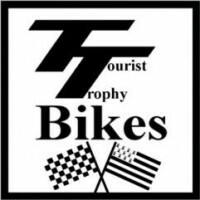 Motoblouz are very helpful and still are! I’m glad to work with them, and to know they are motivated to support me. SW-Motech France equipped my bike with their high-quality and resistant luggage. I have no doubt about the quality of their equipment and I am pleased to test their products once again. Tecnoglobe, the GPS and the headset they gave me for my first trip were awesome! 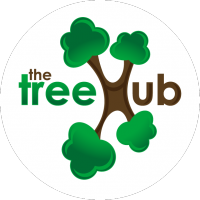 The Tree Hub, they connect me with reforestation projects in the countries i’ll visit. They will organize the fundraising, and encourage companies to take actions in order to offset their carbon emissions. Youth Around the World and CRIDEV are regional associations whose purpose is to support community projects. They help me design and think my whole project. Their support is invaluable. TT BIKES help be again, Gougou sold me this great motorcycle and I had prepare it for long travel. Thanks a lot! Outdoor equipment: I need a tent made for bikers or travelers, I’m looking for some light and high-quality gear to survive on my own wherever I go! Shipping: I have no expertise in the field of maritime transport and this will soon become crucial. I hope, through various partners, to meet a company willing to help me find the best transport solution for the bike and myself. Mobile Phones: I am looking for a way to be connected all the time to share my adventure, no matter where I am. Everyone can participate in this project in any way and I would be happy to know what you think about it.